Mobile casino platforms seem to be where the industry is heading. More people are using the mobile software than ever overall, and the rate at which new players are coming into the mobile sector is greater than the rate that they are coming in for the downloadable software. What that means is that if the downloadable numbers ever start going down, then the mobile sector is going to quickly take everything over. Realtime Gaming knows that mobile is the future of the industry, and that's why they have been preparing for that future by getting some of their most popular games onto the mobile platform. The T-Rex video slot has been recently added to the Realtime Gaming mobile platform. This game is well-known for being a player favorite. It uses five reels with 25 paylines, and it has an excellent dinosaur theme. There's a great free spins bonus round that hits often, and it gives players a great amount of value. Many sites that use the Realtime Gaming software offer free spins on this game on a regular basis, and that's such an effective promotion because this game is so absurdly popular with players. Something else that helps to make this game stand out is the progressive jackpot. Many of RTG's games include minor progressives that seed at $1,000 and go up until someone wins them. While this isn't necessarily going to lead to life-changing sums of money being one, it's cool that it's an added prize that gives players a chance at getting a nice payout without having to worry about hitting any particular winning combination. This happens because the jackpot itself is rewarded randomly, and you don't have to bet any particular amount to qualify for the jackpot either. 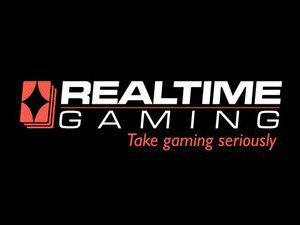 Realtime Gaming is one of the most popular software companies to power online casinos that still run openly in the United States. Their software supplies players with over 120 different titles, and many of these games are video slots like T-Rex. They have recently started making a big push for their mobile software, and that's been getting a lot of attention from players. Adding popular titles like T-Rex to the mobile platform shows that they are very serious about making this work and that they are serious about providing more titles for the platform in the future.